At TOHTC.com we pride ourselves in providing cutting edge in all Himalayn Salt Products at competitive pricing, offering all the latest in health and wellness, animal minerals and wellness and more. 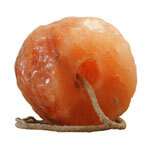 From Massage Balls Lamps, Pyramid Lamps, Globe or Spere Lamps, Aroma Lamps and of course Natural Lamps in lots of sizes. Animal Licks, Bath Salts and Body Scrubs and Gorme Salt and cooking planks, TOHTC.com offers premium quality products. 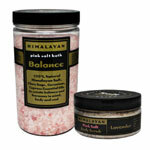 Himalayan Pink Salt is one of the purest salts found on earth. When it comes to purity and mineral content, no other salt compares. 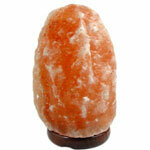 Himalayan Salt offers mineral packed crystals which formed naturally within the earth. The many hues of pink, red and white are an indication of this salt's rich and varying mineral and iron content. Himalayan Pink Salt enhances your culinary presentation; use it in a clear salt grinder so you can experience all the sensory delights of this amazingly pure flavor enhancer. Himalayan Pink Salt is food grade, all-natural, organic compliant, and Kosher certified. Don't leave out your favorite horse, goat, deer, cow and more for the great animal wellness mineral properties. The same replenishing nutrients that make Himalayan Pink salt prized in the gourmet world makes it an absolute treasure as a bath salt. Naturally rich in 84 nourishing and skin-replenishing minerals, bathing with Himalayan Pink bath salt is truly a renewing and therapeutic experience for mind & body. Himalayan salt is used by health professionals, spas and individuals who are interested in utilizing natural products to heal the body and relax the mind. The rich pink color of Himalayan salt is a result of the trace elements in the salt, including energy-rich iron. These naturally present minerals are essential for human health, and can be readily absorbed through bathing therapies. Himalayan Salt Slabs are beautiful, translucent, quartz-like slabs of pure Himalayan salt, hand-cut from deep in the Himalayan Mountains. 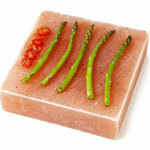 Chilled in the refrigerator, the slabs become a serving platter or tray for fruits, sushi, vegetables or cheese. Present cold desserts and even sorbet on slabs that have been frozen in the freezer. The slabs will impart an enhanced salt and mineral flavor to food by which no other method can compare. Himalayan salt is naturally anti-microbial, so in has no bacteria. The most popular use of the rounds, bricks and platters is as a cooking aid. Heated in the oven or on the grill, use the slabs to sear vegetables, shrimp, fish fillets or favorite meat will have just the right amount of mineral-rich salty flavor. These dense salt blocks conduct heat beautifully, cooking with near perfect heat distribution. Salt Skill salt is specifically sorted to achieve maximum color, beauty, and quality, resulting in the most premium, beautiful Himalayan salt on the market. Our salt comes from the top importers in the industry Indus, WMB, Salt Works, Spice Labs and Salt Skill.